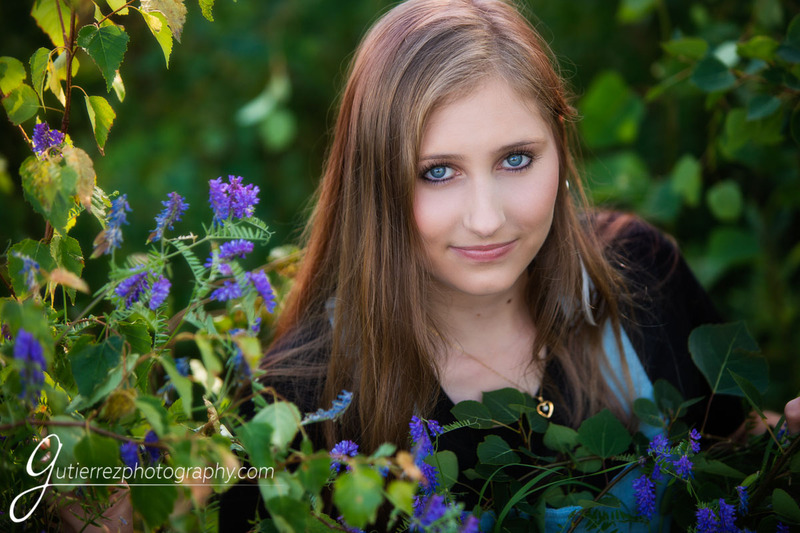 July was a great time for Miriam’s Senior Photos. 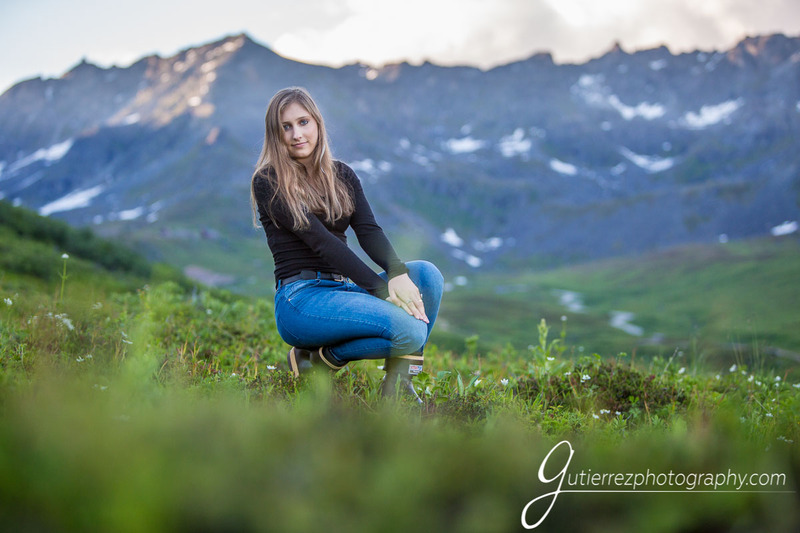 We chose some locations in the Mat-Su area for her session – just a short drive from Eagle River and Anchorage. On the way out to the Little Susitna River and Hatcher Pass we found a big patch of flowers. It was a great place to get started. If you like water, especially a rushing and rolling over big beautiful rocks kind of water, then you will love the Lil Su. That was another fun place to stop for Miriam’s session. We finished up at Hatcher’s Pass by Summit Lake. The evening light did not disappoint. The water in the lake looked like liquid gold in spots. 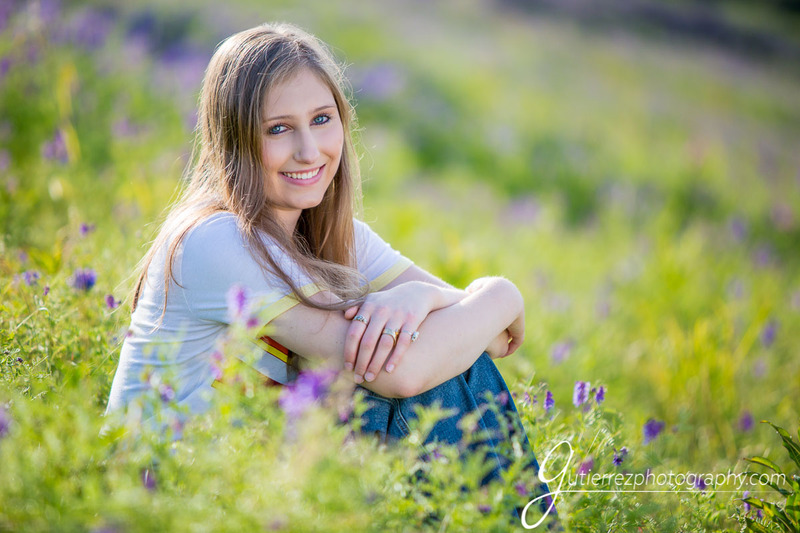 What a great setting for senior portraits. 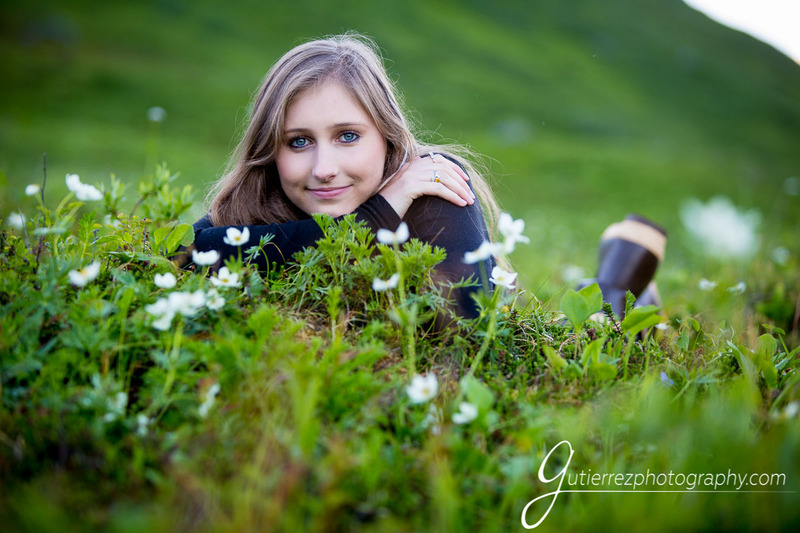 Miriam was fantastic during her photo session with us. She is quiet but very engaging and fun to talk to. She did a wonderful job on her session with us. 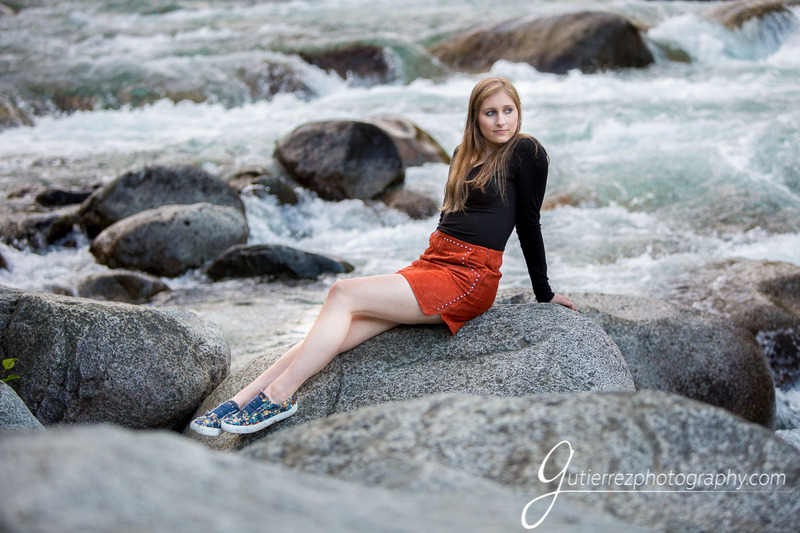 Miriam goes to Eagle River High School as a member of the class of 2019 and is one of our 2019 Senior Models. 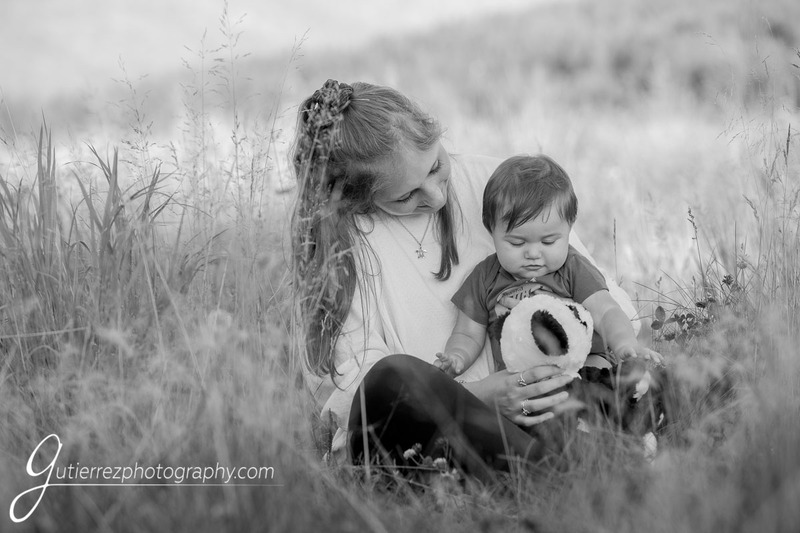 We have loved getting to know her and photographing her. 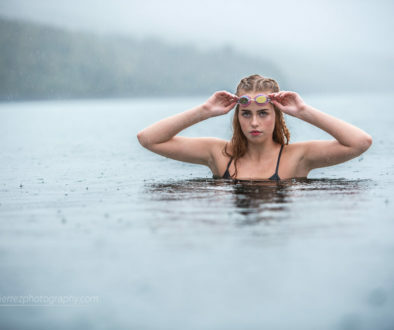 If you saw the portfolio image we created with her earlier this year, you know that she is an Irish Dancer. Miriam also plays the ukulele, loves her cats and her favorite dessert is cheesecake. She would love to be a preschool teacher and/or a music teacher.